If you have a cardiac pacemaker implant and use an iPod to listen to music, your health could be in danger. That's according to a student report which was picked up by Reuters this morning. Apparently MP3 players can interfere with electromagnetic pacemakers, causing them to fail. This could potentially be fatal to someone who depends on a pacemaker to keep their heart beating properly. The US high school student reportedly presented his findings to cardiothoracic specialists yesterday, after conducting a study involving 100 pacemaker patients. 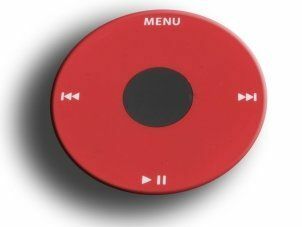 He found that 50 per cent of the pacemaker users experienced electrical interference when using an iPod. One conclusion drawn from the findings was that interference from iPods could lead to doctors misdiagnosing heart problems among pacemaker patients. Although the test was only conducted with Apple iPods, it's unlikely that they are the only type of gadget that could cause such problems. It's thought that the problem wasn't found sooner because most pacemaker patients are pensioners who generally don't use these gadgets. It should also be said that although the problem has been documented, there have been no recorded cases of total pacemaker failure as a result of electrical interference from gadgets.